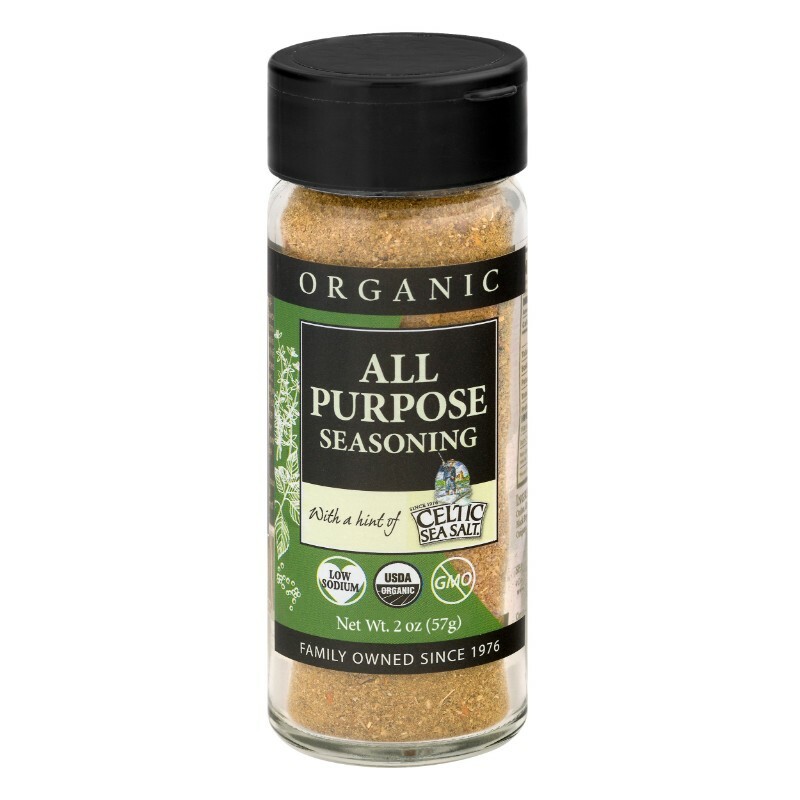 Our organic All Purpose Seasoning with Celtic Sea Salt® is a wonderful staple to add to your pantry. 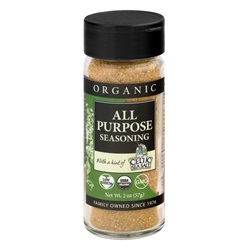 On days when you feel less than inspired to cook, let alone come up with an impressive flavor combination, use this seasoning to save that mid week dinner rut. 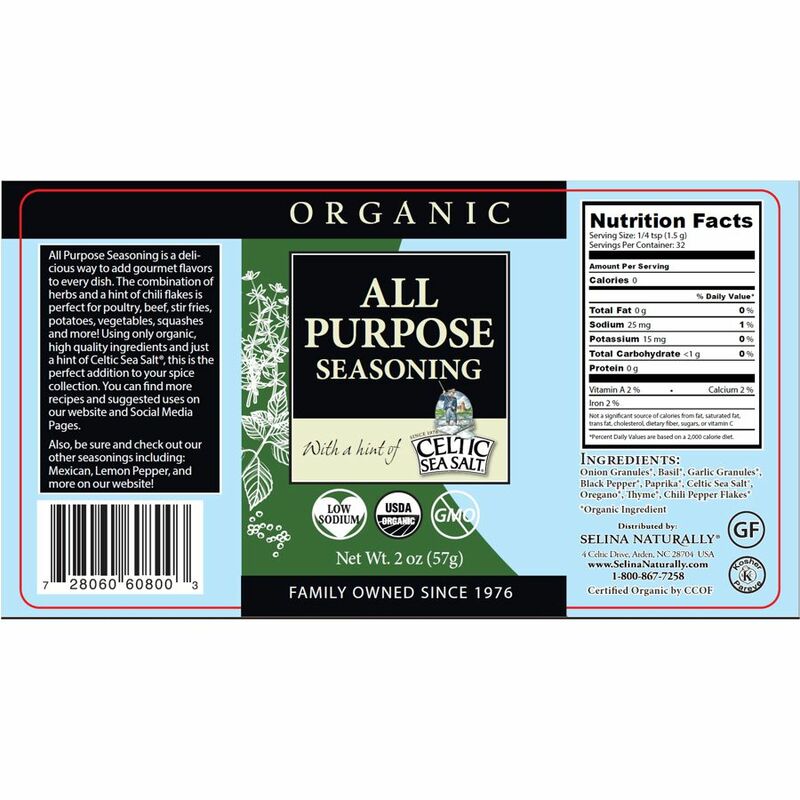 Delicious on meats, vegetables, potatoes and so much more. The savory elements will bring a burst of flavor to every dish!